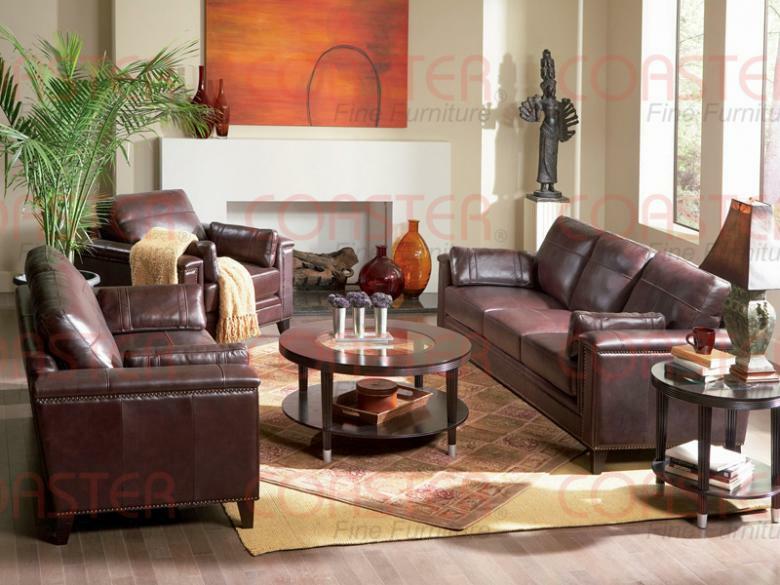 This updated traditional style sofa group is wrapped in a soft 100% all leather cover. Features individually placed nailheads in a antiqued brass finish. Wood feet are finished in a dark brown. Leather accent pillows are included.